Sally Barris is an A-list Nashville songwriter who has had songs covered by such top-level artists as Kathy Mattea, Martina McBride, and Lee Ann Womack. Her song “Let The Wind Chase You”, recorded by Trisha Yearwood and Keith Urban, received a Grammy nomination for vocal collaboration in 2009.While her writing credits mightily impress, fans and peers are most captivated by her bright spirit and expressive mountain soprano. Dirty Linen says “Barris knows how to write lyrics that are as forthright as a stream of clear water and how to support them with melodies that share that quality”. 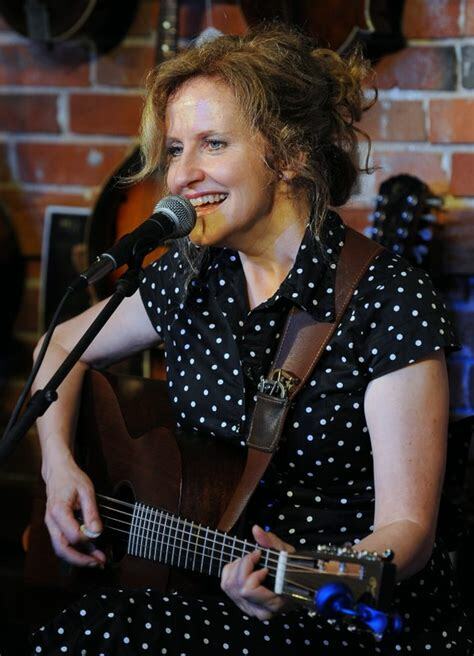 Sally also performs with dobro player and guitarist Chas Williams and mandolin player Jason Bailey as “Sally Barris & The Birmingham Boys”. The Minnesota native has performed Mountain Stage, New Bedford Summer Fest, Wildflower Arts & Music Festival and The Kerrville Folk Festival. Sally is currently touring with her new cd “The Road in Me”.